BEAUTIFUL HOME IN A QUIET, TREE-LINED SETTING W/CHARMING FRONT PORCH & EXPANSIVE DECK OVERLOOKING THE WATER IN AUTUMN LAKE. 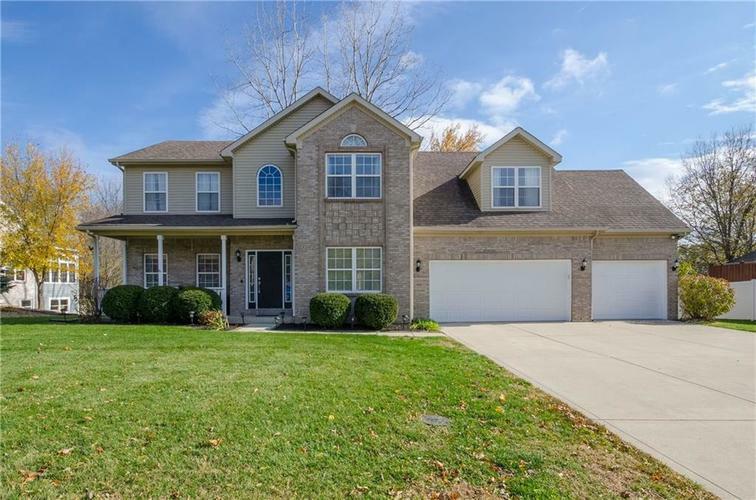 INVITING 2-STORY ENTRY; ATTRACTIVE CROWN MOLDING; DINING ROOM W/DECORATIVE WAINSCOTING, TRAY CEILING & ADJACENT BUTLER’S PANTRY CONNECTING TO UPDATED KITCHEN W/GRANITE COUNTERTOPS, CUSTOM TILE BACKSPLASH, STAINLESS APPLIANCES, CENTER ISLAND & BREAKFAST BAR OPEN TO BREAKFAST AREA & SPACIOUS FAMILY RM W/FIREPLACE & DECK ACCESS; LAUNDRY/MUDROOM W/CUBBIES & OUTDOOR ACCESS; VAULTED MASTER SUITE W/WALK-IN CLOSET, DUAL SINKS, JACUZZI TUB & SEP SHOWER; FINISHED BASEMENT W/WET BAR, REC ROOM & FULL BATH. Directions:East on 136th from Spring Mill Rd., 136th turn into Rohrer Rd., right on Leafy Branch, left on Autumn Lake.